You probably don’t think much about your liver, but as one of the largest organs in the body, your holistic dentist in Southlake wants to remind you it plays a vital role in your systemic well-being. Its biggest role is in your metabolic health. 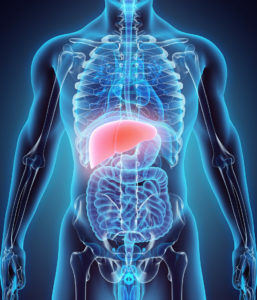 Your liver takes nutrients from the foods you eat, converts them into substances the body can use, stores these usable substances, then redistributes them as needed. The liver also plays the crucial role of converting toxins from what we eat and drink into harmless substances and ensuring they make a clean exit from the body. It’s the liver that clears your body of alcohol after a night of drinking. It shouldn’t come as a surprise that having a healthy liver that isn’t too burdened down is key to staying healthy. Unfortunately, many adults are taxing their livers with an extra load without even realizing it — and the threat often comes from what’s in their smile. Amalgam fillings were for a long time the standard choice for filling cavities. This silver material is a combination of mercury, silver, tin, and other materials. It seemed like a sturdy, effective solution for filling cavities for decades — but unfortunately, amalgam also comes with a considerable mercury risk. As your holistic dentist, Dr. Preetha Thomas wants people to be aware of the risk carrying around old silver fillings can have on your overall health. People who have more than eight amalgam fillings are at a significant risk for dangerously high mercury levels in the blood. Every time you eat or drink something hot, your filling may release odorless, tasteless mercury vapors into your oral cavity. Once this toxin enters into your body and bloodstream, where does it end up? Along with everything else the body needs to get rid of — in your liver. Who’s the Dentist Near Me Removing Amalgam Fillings? As your holistic dentist, Dr. Thomas is committed to your overall health. She regularly removes old amalgam fillings and replaces them with biocompatible tooth-colored fillings when possible. Tooth-colored fillings are made from a composite resin of smooth plastic and glass particles. They last just as long as the mercury alternative, but are more aesthetically pleasing and do not put your liver and your body at risk of the heavy burden of mercury. Filling replacement is a simple procedure performed at Enclave Dental. We can either replace all of your fillings at once, or work in stages if you have many present. Enclave Dental offers a range of biocompatible materials for all types of restorations. Do you have one or more amalgam fillings leftover in your smile? Don’t let those weigh down your liver and put your overall health at risk. Dr. Thomas removes silver fillings at Enclave Dental! Request an appointment today.